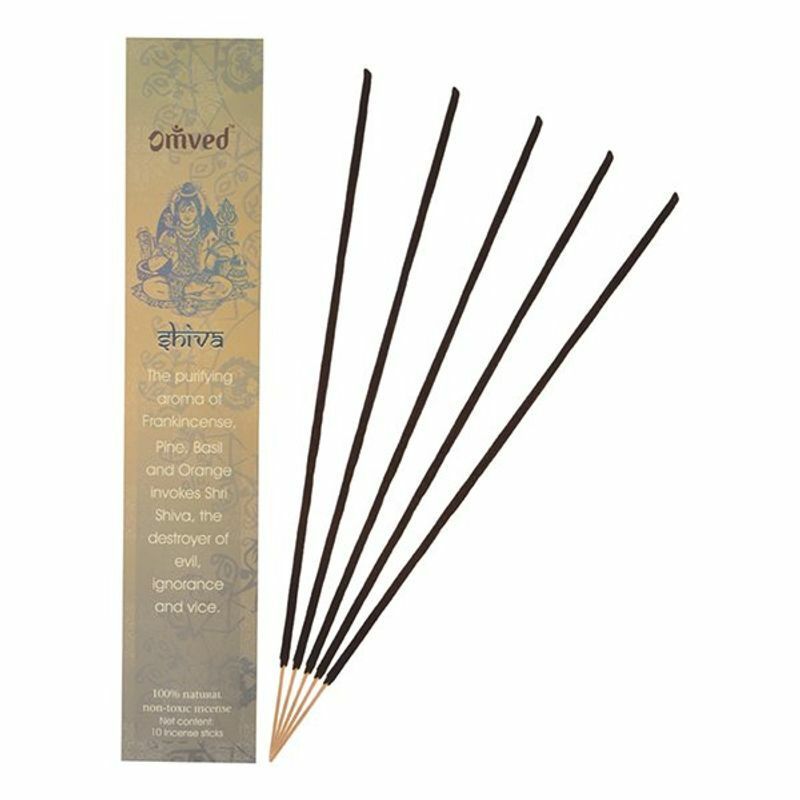 Invoke the blessings of Lord Shiva - the destroyer of all evil, ignorance and vice with Omved's Shiva Deity Incense Sticks. The purifying aroma of Frankincense, Pine, Basil and Orange sanctifies your living abode, ushering in positive energies. Omved Ayurvedic incense are made the traditional way with a 'masala' or mixture of 100% natural aromatic botanicals (no charcoal) are rolled into natural bamboo sticks as compared to 'dip incense' in which sticks of charcoal are dipped into synthetic fragrance or essential oils. Infused with the abundance of nature these aromatic ingredients combine to produce a smooth, slow-burning incense. The result is a fresh and fragrant breath of conscious bliss.